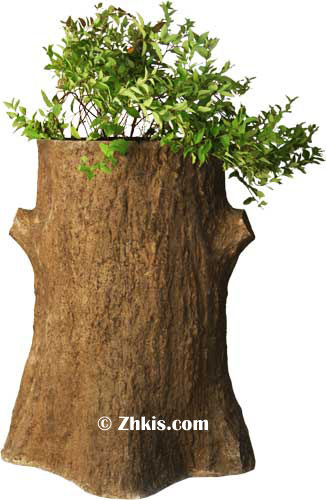 A large and unique tree trunk planter this large tree stump planter is made from fiberglass. It will not rot or track bugs as it is made from fiber stone. A great garden planter perfect for the outdoors it will withstand the weather year round. A great garden accent 30 inches high and 24 inches wide. Shown here in an earth tone finish other finishes available for this unique garden planter.